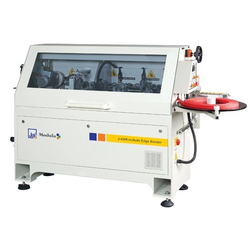 Offering you a complete choice of products which include through feed edge banding machine, curvilinear edge bander, auto edge bander, contour edge bander, manual edge bander and heavy duty edge banding machine. Our firm is involved in manufacturing and supplying a huge range of Through Feed Edge Banding Machine. We design the given product following industrial standards by making use of best quality material and modern technology. Owing to rich industry experience, we offer Curvilinear Edge Bander to our clients. 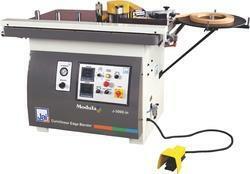 We are offering Auto Edge Bander to our client. It is manufactured using quality raw materials and latest technology. Furthermore, these products are checked on various quality parameters to ensure its defect-free nature. Our firm delivers precisely tested and a high-grade assortment of Contour Edge Bander. Anodised aluminium rip fence with the sliding system on heavy round bar for parallel cutting. Fine seThe fine mechanism allows for precise measurements for parallel cuts. The sturdy frame provides a rigid support for all cutting with telescopic cross-cut fence with aluminum guides for precise and easy positioned. Also entire saw unit on heavy duty cast iron trunnion Saw unit vertical movement on precise round guides ensures smooth operation. Its closed structure guarantees high rigidity & a vibration free unit. 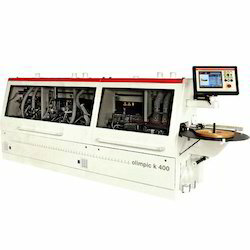 We hold expertise in offering the wide gamut of Heavy Duty Edge Banding Machine in the industry. This product is manufactured using high-grade input factors as per the preset industry norms. These products are quality checked before final delivery by the qualified quality professionals. Also, our customers can avail these products from us at very cost effective rates. 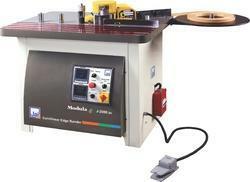 We are engaged in offering our clients a superior quality range of SCM Edge Bander Machine. We design the given product following industrial standards by making use of best quality material and modern technology.